Saved searches are currently displayed as (potentially) extremely long run-on sentences that are very hard to read. This makes it hard or impossible to identify them from the side box without having to click the gear icon. We should be able to rename saved searches at the very least. Replace that ugly string with a nice input field. 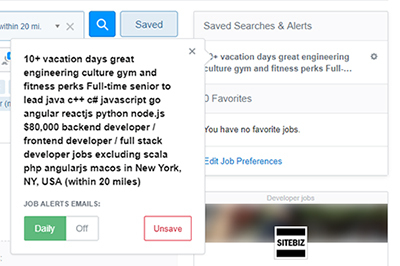 Additionally, categorization of each search parameter inside the modal would be extra nice. Really anything to clean this modal up.